The Vienna-based Austrian firm announced last month that it had retained Latvian driver Janis Baumanisfor a third season, and while it had run a Fiesta Mk7 since entering the series, is now creating a Supercar based on the newest Mk8 iteration of Ford’s hatchback. “For 2019 we took the decision to develop a completely new car, which also gave us the chance to choose a new platform,” said STARD CEO Michael Sakowicz. Just 10 percent of the components used in STARD’s previous-generation Fiesta are being carried over onto the new car, including an all-new engine. “Due to the FIA technical regulations, the base road car’s specification has a significant influence on the race car development, so it is very important to make the right choice at the beginning. Ford Performance previously gave technical support to Swedish team OlsbergsMSE in international rallycross, which culminated in the squad winning the World RX team’s title in 2014. After a two-year campaign where Ford officially supported Ken Block’s Hoonigan Racing Division squad (2016-17) in the series, Ford Performance again gave technical assistance to OMSE last year. 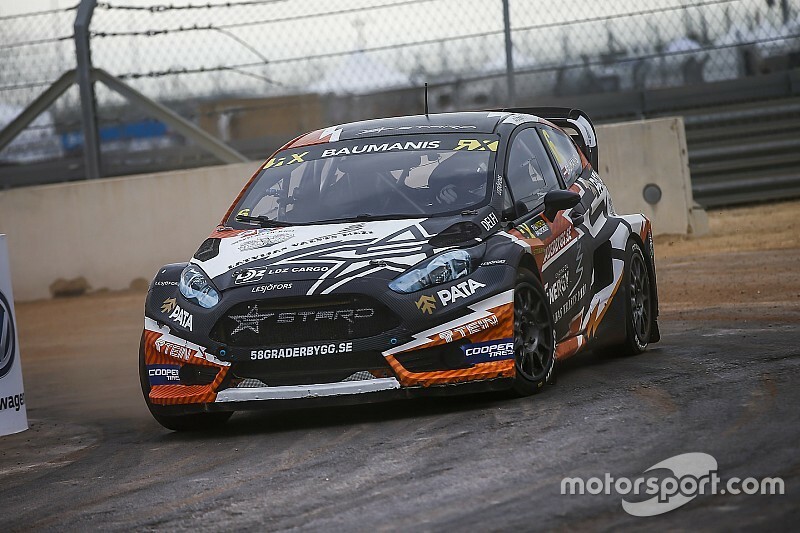 Ford is one of the marques linked with possible involvement in the electric switch for World RX, planned to take place from 2021, while STARD is the producer of the first publicly aired twin-motor, four-wheel drive electric rallycross prototype. “We know quite well what benefits it has to run an entire vehicle development project with the manufacturer’s involvement as this was the case in 90 percent of our projects so far,” said Sakowicz. “The support from Ford Performance definitely is a game changer for us. We can apply processes in the development and race activity and also support our customers in a way which is only possible if you are cooperating with the manufacturer. STARD will also be making its new Fiesta immediately available to customers.